In continuous quest to improve the biological functions of the body systems for healthier body, human beings consistently search for substances, with the Western world placing greater emphasis on certain herbs, shrubs, roots, foods and plants as sources of health booster. Researchers recorded over 3.5 billion individuals all over the world relying on plants and herbal medicines for health boosting and care. One of such health booster to be discussed within the context of this study is mushroom. All mushrooms are fungi however, not all fungi are mushrooms. According to Bhakta and Kumar (2013), mushroom is a fleshy fruiting body that comprises of stem, cap and gills with a spore-bearing fungus-like body. This fleshy spore-bearing shrub originally grows above the ground level or on conducive environment. The mushroom gill also known as pore, generates microscopic spores that enable the fungus to spread all over the surface of the ground it is growing. This article titled Mushrooms; The Super Beneficial Fungi, aims to bring forward some of the basic facts you ought to know about mushrooms. Edible mushrooms are consumed by human beings due to their high nutritional and medicinal value. Edible mushrooms, cultivable and wild mushrooms are usually available in the markets and it is noteworthy to identify and verify any wild mushroom before consumption as some of them can be very fatal to health. Mushroom contains very low calorie and can be eaten as food either raw, fried or cooked. Ahmed et., al. (2013), state that mushrooms are rich source of essential minerals, non-starchy carbohydrate, potassium, phosphorus, dietary fiber selenium, B vitamins, such as niacin, riboflavin and pantothenic acid. According to Mwitari et., al. (2014), cancer is in one way or the other connected with the body’s immune system and this cankerworm is eating so deep into the whole world with an upsurge in cases. Some medicinal plants and their extracts are notable for boosting immunity and one of such immune booster is mushroom. Biological properties of medicinal mushrooms have been studied in the past and researchers agreed that mushrooms possess both immunostimulatory and anti-tumor properties due to the presence of polysaccharide-proteins, polysaccharides and polysaccharide-peptides in them. Studies on breast cancer revealed that the presence of conjugated linoleic acid (fatty acid) in mushrooms is very vital due to it's ability to bind onto aromatase enzymes in hormone-related breast cancer thereby reducing their ability to produce estrogen. Since most breast cancer tumors solely depend on estrogen for their growth, blocking the aromatase enzyme by the conjugated linoleic acid present in mushrooms can help to prevent and control this sort of tumor. Researchers agree that mushrooms greatly boosts the human immune system by having the activity levels of the immune cells of the white blood cells appropriately maintained. These white blood cells greatly plays a major role in the health of the human immune system and any unhealthy activity on the white blood cells can be very detrimental to the body. Healthy immune system helps to protect against health-related problems such as cancer, arthritis and cardiovascular diseases by maintaining balanced activities amongst the white blood cells. An article by Mushrooms and Health Global Initiative Bulletin (2013) agrees that mushroom contains natural ergosterol which produces vitamin D2. Researchers support that growing and exposing mushrooms to UltraViolet light rays are an effective means of vitamin D production in food thereby making them the major vegetable source of vitamin D. The researchers further went ahead to prove that that the Vitamin D2 contained in mushrooms are capable of preventing the cognitive and certain abnormalities connected with dementia. Kalaras et. al., (2012) support that mushrooms are rich source of protein with the protein content far above most of the vegetables. Mushrooms also contain all the important amino acids needed by the human body for boosting the immune system. According to Bhakta M. and Kumar P. (2013), mushrooms are capable of preventing and controlling cardiovascular diseases. The presence of B vitamins such as vitamin B1, vitamin B2, vitamin B3, vitamin B5, vitamin B6, vitamin B12, choline and folate in mushrooms makes them capable of preventing cardiovascular diseases. Antioxidants protection are of immense importance to the cardiovascular system as they prove effective in regulating inflammation. Due to the presence of antioxidant and anti-inflammatory nutrients in mushrooms, they are capable of preventing and controlling cardiovascular diseases by protecting the blood vessels such as aorta from chronic inflammation and oxidation. 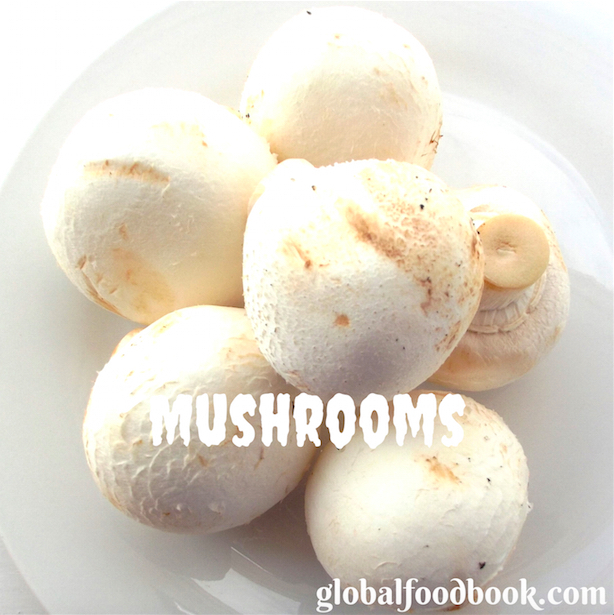 Certain mushrooms are often studied and utilised for treating diseases such as cancer and cardiovascular disorders. Studies suggest that certain mushrooms are capable of inhibiting tumor growth while others have anti-diabetic, antiviral, antibacterial, anti-inflammatory and anti-parasitic abilities. Mushrooms are medicinal in nature as agreed by Smith et., al. (2002), and are widely used in traditional Chinese medicine. However, modern medical research has recorded the use of mushroom extracts since the 1960s for laboratory research. Mushrooms with psychoactive properties are traditionally used for healing mental, visionary and physical human states. Psilocybin mushroom contains psychedelic properties, which encourages life-changing insights as well as capable of treating psychological disorders as agreed by Grifithis et., al. (2008). These psychedelic mushrooms are also capable of stopping migraine headaches as well as useful in treating addiction with cigarettes and alcohol. Mushrooms are basically used for cooking in several cuisines. Commercially, mushrooms are grown mainly on mushroom farms and the safest and most popular specie is Agaricus bisporus which is cultivated in a sterilized and adequately controlled environments. The most commercially grown species of Agaricus bisporus includes maitake, whites, enoki, crimini and portobello etc. Although mushrooms are edible, it is noteworthy that certain species are poisonous and the consumption of these poisonous species can be very detrimental to human health. Edible mushrooms on the other hand, can produce some allergic reactions to susceptible individuals so it is advisable to always be on the watch out for this. Ahmed M., Abdullah N., Ahmed K. U. and Bhuyan M. H. M. B (2013), Yield and nutritional composition of oyster mushroom strains newly introduced in Bangladesh, Institute of Biological Sciences, Mushroom Research Centre, p.197. Bhakta M. and Kumar P. (2013), Mushroom Polysaccharides as a Potential Prebiotics, International Journal of Health Sciences and Research, Vol.3, Issue 8, pp.78, 82. Griffiths R, Richards W, Johnson M, McCann U, Jesse R. (2008). "Mystical-type experiences occasioned by psilocybin mediate the attribution of personal meaning and spiritual significance 14 months later". Journal of psychopharmacology, 22 (6), pp. 627-30. Kalaras, M. D.; Beelman, R. B.; Elias, R. J. (2012). 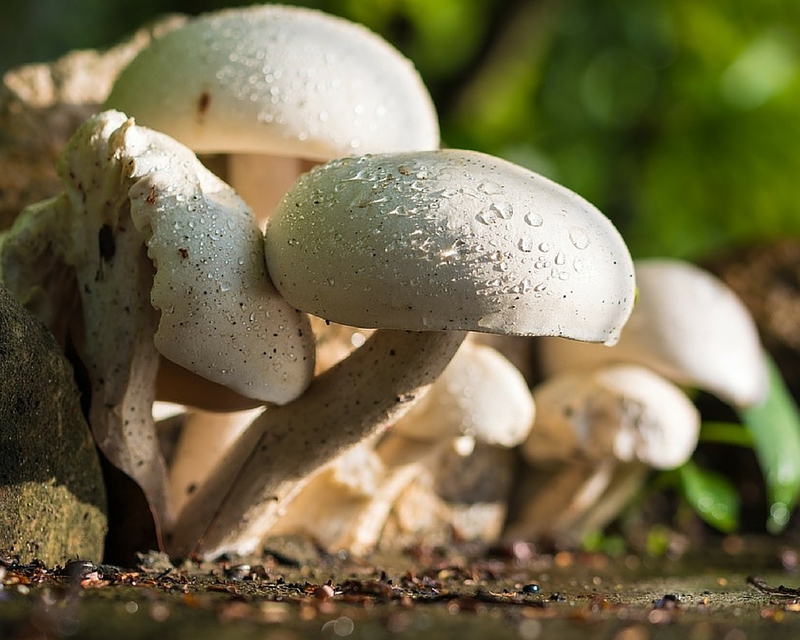 "Effects of postharvest pulsed UV light treatment of white button mushrooms (Agaricus bisporus) on vitamin D2 content and quality attributes". Journal of Agricultural and Food Chemistry 60 (1), pp.222-3. Mwitari, Githaiga P., Yuhong B., Ayeka, Amwoga P., Zhang and Jun Y. (2014), Effect of substrate dependent mushroom polysaccharide extracts on IL-7 up regulation and cancer immunotherapy and their probable mode of action. 3:301, p.2.